We are proud to announce that Portola Hills Community Association has selected Tinnelly Law Group as their associations’ legal counsel. 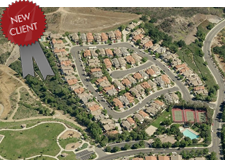 Portola Hills is a planned development located in Trabuco Canyon, surrounded by the Saddleback Mountains and Whiting Ranch Wilderness Park. Residents enjoy a private recreation center, including a pool, jacuzzi, and tennis courts, as well as walking trails throughout the neighborhood. Our HOA attorneys and staff look forward to working with Portola Hills’ Board and management.